1. Hang most everything 57″ on center. This standard represents the average human eye height, and it’s what the galleries and museums use. This also applies to groups of pictures…just think of the collection as one piece. Most people hang art too high. 2. Relate art to wall size. 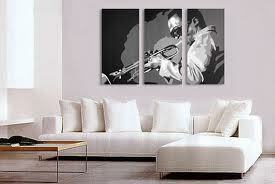 Smaller pieces are for narrow walls and bigger pictures (or groups of pictures) go on large walls. Seems pretty basic, but often I see a tiny picture on a huge wall. 3. Relate art to the furniture that sits below it. The art should not be wider than the furniture. As a general principle, the art looks best when it’s about 75% of the furniture’s width.